In some real life applications, there is only a single microphone being deployed which takes off the table any potential signal to noise ratio (SNR) improvements that could have been obtained from multiple microphone beamforming. The true SNR, sometimes refered to as the apriori SNR, is most times assumed unavailable leading to the use of posteriori SNR which is the ratio of the received noisy signal power to the background noise power. Conventional approaches such as spectral subtraction, Wiener, maximum likelihood and McAulay & Malpass all use the posteriori SNR with the estimate of the noise power done during the noisy speech frames. 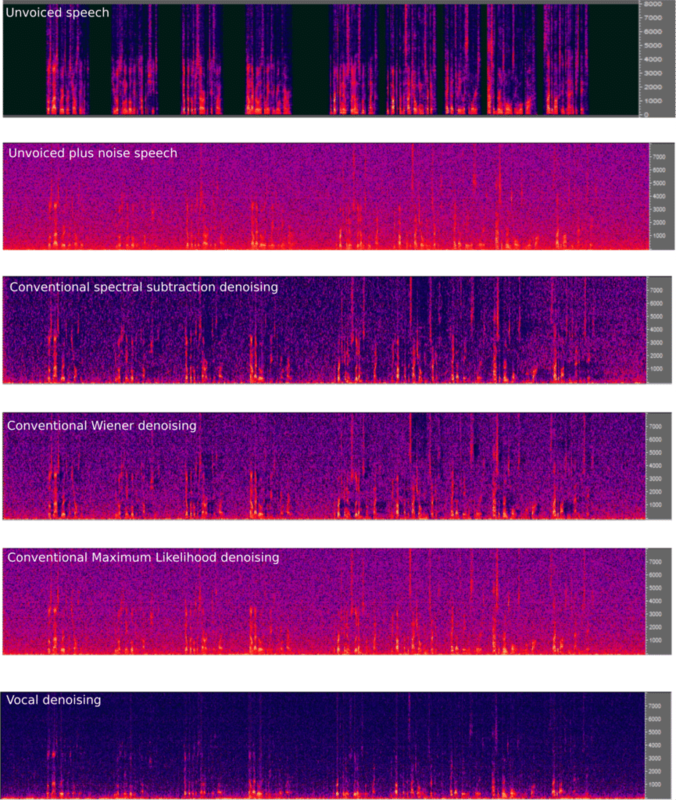 We present an alternate whose performance surpasses all the above conventional approaches under the assumption that the background noise is complex Gaussian in the spectral domain. where is the apriori SNR, is the noise cross coherence and denotes real. The estimated can then be used in any spectral based noise reduction approach. We compare the results of this approach to conventional approaches, illustrated in Figure 1 below with no nonlinear filters applied. It can be seen on Figure 1 that this approach does far better than conventional approaches in removing the noise across sub bands.